The battlefield is shifting from trench soldiers to cyberspace and unmanned machines. As always, when a new technology of war is developed, a counter that levels the game isn’t far behind. 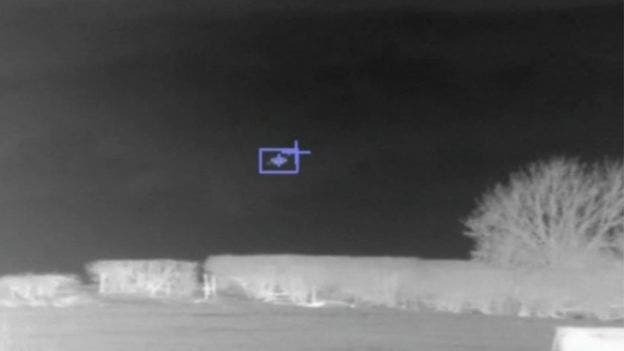 Business Insider reports three companies in the UK are working on a device that freezes drones in mid-air by flooding them with radio signals across all frequencies, similarly to how cell phone blockers work, or how Cooper in Interstellar captured a drone in his corn fields. 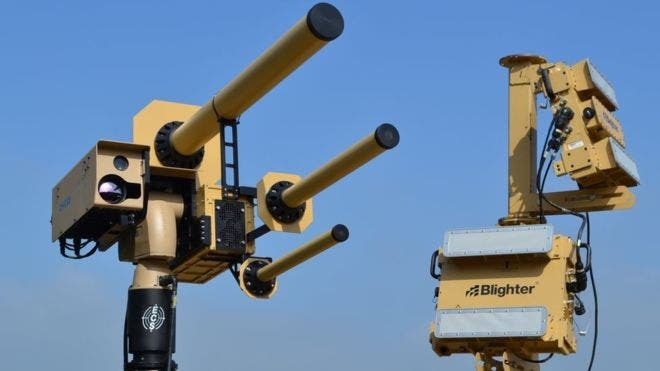 Anti-UAV Defence System (Auds) is being developed by Blighter Surveillance Systems, Chess Dynamics, and Enterprise Control Systems primarily to keep hobbyist drones away from busy airports where they can pose a safety hazard. By directing a lot of radio power towards the UAVs, the drones are only able to hear the instructions sent through Auds signals. The operator then has the option to ‘freeze’ the drone, rendering it unresponsive until it runs out of power and crashes. According to the US Federal Aviation Authority (FAA) pilots report at least 100 sightings of drones that are risky to their flight patterns each month. Last year only a couple such incidents were reported each month. Soon enough quadcopter owners who venture flying their ‘toys’ around airports might risk losing them. And it’s not just airports that had enough. Ever since a drone crashed into the White House lawn, the Secret Service installed drone jamming tech. Drone manufacturers have also learn to comply to increase government pressure. Hobbyst drones now come hard-coded with instructions that block the flying toys from coming anywhere near restricted airspace. Of course, the military applications are also important albeit the Auds isn’t cut out for it yet. Military drones are equipped with their own anti-jamming tech, and it takes a lot more to bring them down, like a rocket. Maybe a more refined Auds might prove useful in jamming the military grade drones too.